… a powerful portrait of a man forced to reconcile the expectations of his family, his ancestors and the weight of Chinese tradition with the very different attitudes of the West, while trying, in the middle of things, to find love. … His portrait of Hong Kong – its sights, smells, noise and confusion – is convincing, and his descriptions convey the beauty and the darker sides of the territory. 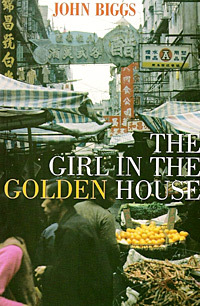 … His treatment of Wong’s emotional struggle is as deft and moving as his exploration of Hong Kong in turmoil is bold. … The book affected me greatly! It was a masterpiece and I find it has remained haunting me since I finished it – in a way few books do … I don’t know that anybody could ever match it! … the way the story was interwoven with real events and politics gave the book the edge. I have learnt so much about the world that you lived in, a world that I now, at least partly, know too. Thank you!